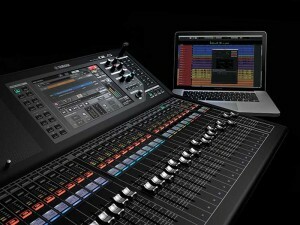 ProLight+Sound 2014 sees Yamaha launch a brand new range of digital mixing consoles, delivering all of the audio quality, processing power and flexibility of the acclaimed CL Series, but in a size and with local i/o facilities aimed at smaller scale productions. The new QL series comprises two models, the QL1 and QL5. The QL1 features 16 inputs and eight outputs in a 468mm wide chassis, with the QL5 32 ins/16 outs, measuring 828.4mm wide. The QL1 has 32 mono and eight stereo input channels, with the QL5 64 mono and eight stereo. QL consoles are ideal for small-to-medium sized productions on their own, however on board Dante networking allows them to be integrated into bigger systems with Yamaha’s R-series i/o units and CL Series consoles. Up to eight R-series units can be simultaneously controlled by a QL console, offering as many as 256 input sources. A brand new Port-to-Port facility gives CL Series consoles access to the onboard connections of QL consoles, allowing them to be used as external i/o. This allows very precisely scalable audio solutions to be created. Auto Gain Compensation can be applied to the QL Series head amps as well as R-series i/o units, allowing two or more QL & CL Series consoles to share inputs without fear of unexpected level changes. Dan Dugan’s revolutionary auto-mixing capability is provided on board the QL Series, making it perfect for speech events and broadcast applications, while comprehensive on board audio processing includes the QL Effects Rack and the Premium Rack. The latter incorporates legendary effects like the Rupert Neve Portico 5033 EQ and 5043 Compressor as standard. Two on board Mini-YGDAI expansion slots also allow QL series consoles to add further (external) processing, additional local i/o and interface with other audio networking formats. 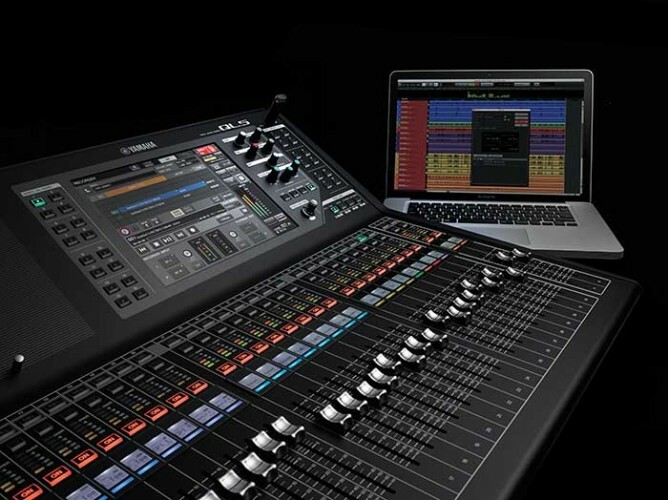 QL consoles will be immediately familiar to thousands of audio engineers, thanks to the ergonomic user interface and ’Touch and Turn’ technology. A highly responsive colour touch screen and array of user definable buttons are included, as well as the same high quality faders and editable, backlit channel name displays with assignable colour bars as used in CL consoles. Convenient two track recording and playback functions are provided and the QL series is fully compatible with Dante Virtual Soundcard and Steinberg Nuendo Live software, making high quality, multitrack live recording straightforward. Yamaha is also launching a QL version of the StageMix iPad remote control app and a fully fledged online/offline editor for Windows and Mac, QL Editor. The QL Series continues the progression instigated by Yamaha’s CL Series, bringing the same high level of operation, networking capabilities and outstanding sound quality within reach of the small-to-medium live music, corporate, speech and installation markets, and all at a price point which matches its compact size. But QL is more than that: it is the perfect complement to rental company investment in the CL Series, seamlessly dovetailing with it to deliver digital mixing systems which can be precisely scaled to any size. Offering remarkable flexibility, QL really is The Quintessential Compact. Yamaha is exhibiting on Stand 8.0 F50 at ProLight + Sound 2014, which takes place at Frankfurt Messe from 12th - 15th March.